Almost every new client that approaches me to plan their destination wedding in Malta has what I describe as “Irish Wedding Burnout”. They have watched almost every friend and family member plan similar 150+ guest weddings at similar venues, in the same towns with the usual entourage. Whilst every couple makes the effort to personalise their event, the overall feeling about the day remains the same. There will be the usual critique of the wedding band, comparisons of the food served by venue A and venue B and inevitably there will be a candy cart or photobooth in close proximity to the dancefloor. I get it. I understand. That was the position I found myself in in 2013 when I got engaged. Having quickly reviewed potential alternative options at home (most options that I considered meant considerable debt for the foreseeable future), a wedding abroad was promptly chosen as our alternative. Don’t get me wrong, we didn’t go abroad to save money or to have a wedding on a budget (our wedding was far from budget), but it gave us the sense that we could have a bespoke, unique and alternative wedding experience. Instead of feeling ripped off at home, we felt that there was excellent quality and value for money to be obtained, whilst contributing to a unique guest experience. If you have been following me online over the last couple of years, you will know how much I have fallen in love with Malta and in my opinion, it is the perfect location for a destination wedding. Here are a few previous blogs to get you up to speed. However, most couples travelling abroad don’t want a traditional Maltese wedding. They want an Irish Wedding in Malta; a home away from home. The big question is, how do you offer something unique whilst still maintaing guest expectations? Afterall, we are creatures of habit. 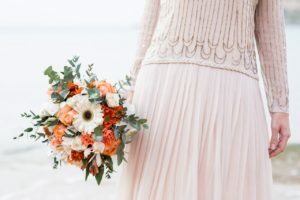 As a former Irish bride in Malta and as a current wedding planner, I will share my expertise for the best ways to incorporate Irish expectations (Something Old) into your destination wedding whilst adding alternative elements (Something New) to your unique day; sure isn’t that is why you considered going abroad in the first place! * Use of Irish suppliers – There is now a huge Irish community in Malta, meaning that you can choose from a range of Irish suppliers for your big day. * Use of Irish planner – That is where I come in. Think how easy your wedding journey could be by working with a locally based wedding planner. There is nobody better to understand the expectations and concerns of Irish clients. * Good Food – This typically ranks as the most critical deliverable. Thankfully, the standard of catering and service is really high in Malta, so there is no need to worry on this front. * Entertainment – I work with some incredible musicians and I am lucky enough to have a harpist on my books that plays the Irish Harp. You can’t get much more Irish than that! * Convenience – If you were having a wedding at home, you would most likely pick a venue that is close to home so that travel arrangements are convenient for your guests. I organise a full transport itinerary for your guests in Malta so nobody has to worry about how to get from A to B. * Nightlife – Are you even Irish if this doesn’t rate highly on your wish list? There is a pub on just about every street in each town in Malta. You won’t be stuck for options. * Unique venues – You don’t have to worry about having a typical hotel wedding. Malta has an abundance of unique wedding venues to choose from; elegant palazzos, vineyards, rural farmhouses, modern villas, charming castles and baroque villas. Trust me, there is a venue to suit every couples needs. * Guaranteed sunshine – With 300 days of sunshine per year, a beautiful sunny day is almost guaranteed. * Post Wedding Events – Thankfully, a wedding abroad is more than just one day, it is a wedding celebration. Why not make the most of the opportunity to incorporate some activities and excursions into your pre and post wedding events. Hire a boat see the coastal delights of Malta, have a BBQ in the Maltese woodlands or organise a bus tour to show your guests all the best sights and attractions in Malta. 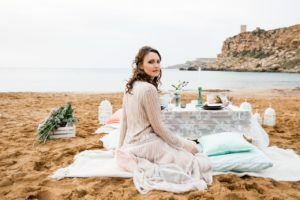 With so many connections to Ireland and with so many options, there is no reason why you can’t have the perfect destination wedding in Malta – A home away from home. 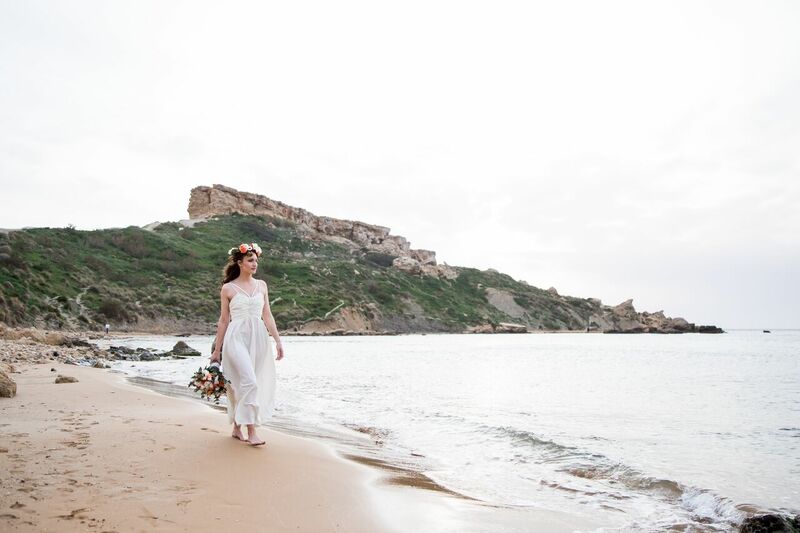 Planned By Tara is Ireland’s ONLY wedding planner dedicated to destination weddings in Malta. We are passionate about creating stylish and bespoke events for couples longing for a fun, unique and memorable wedding in the sun. We place a great emphasis on quality-led planning a design, so we work to source the most beautiful outdoor venues and the best suppliers to bring your dreams to life.